The range of products includes the classic wines from the area: Amarone, Recioto, Ripasso, Valpolicella Classico Superiore, Classico, Rosso Veronese e Passito bianco.The grapes come exclusively from our own vineyards, with a rigorous selection of the best bunches during manual picking. The firm pays particular attention to enhancing the typical characteristics of autochthonous grapes from Valpolicella: Corvina, Corvinone, Rondinella and Molinara, with the greatest possible respect for the environment. The range of products includes the classic wines from the area: Amarone, Recioto, Ripasso, Valpolicella Classico Superiore, Classico, Rosso Veronese e Passito bianco. The grapes come exclusively from our own vineyards, with a rigorous selection of the best bunches during manual picking. The firm pays particular attention to enhancing the typical characteristics of autochthonous grapes from Valpolicella: Corvina, Corvinone, Rondinella and Molinara, with the greatest possible respect for the environment. This is the element that characterises our Valpolicella Classico, the two Valpolicella Superiori and Ripasso. The various components merge harmoniously producing pleasant well-balanced wines. While the Classico speaks a blunt and direct language, Valpolicella Classico Superiore “i Pipioni” provides a stronger kick. What is surprising, is the strength of Corvina only slightly mellowed by Rondinella, both accurately selected during harvesting, which is meticulously carried out by hand, and during the drying process. Last but not least, Ripasso which, with its extraordinary bouquet revealing hints of ripe fruit, spice and liquorice, will truly enchant you. Amarone reveals itself in all its starkness and strength with its prestigious bouquet of spirited fruit, black pepper and leather. Tannin balances perfectly with mellower notes. Recioto “la Rotonda”, representing the essence of our Valpolicella, speaks a noble antique language that has always placed it among the great wines of Valpolicella and, finally, “Simieri”. Presented in an elegant bottle, this is the IGT wine through which Bepi and Toni wanted to express their winemaking essence. Its strong personality makes it particularly suitable paired off with red meat or game. 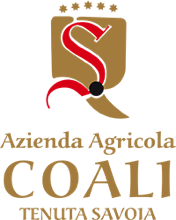 Made by distilling the marc from which our prestigious Amarone is produced. It has a wide enveloping bouquet with distinct notes of cherry and sour cherry due to the Corvina grapes. Mouth-filling and velvety with a well-rounded pervasive finish. Ideal for those wishing to indulge in a little more pleasure.